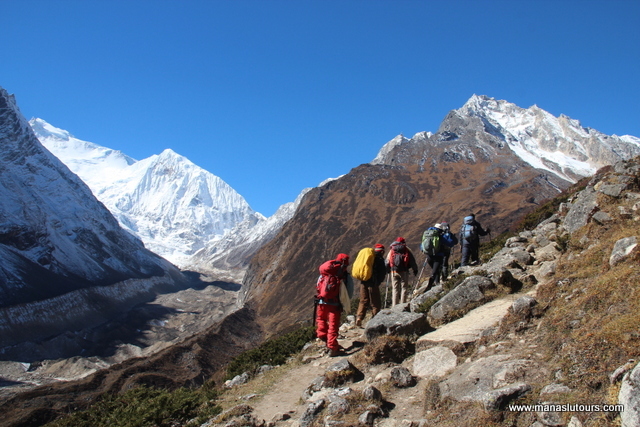 Manaslu circuit Trek is the delightful, adventure experience and well-loved trekking route of Manaslu region of Nepal. 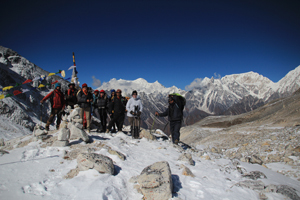 Manaslu trek provides with great pristine of mountain views, rich culture heritage, unsurpassed beauty, biological diversity and genuine adventure, which is officially opened for trekkers since 1992. 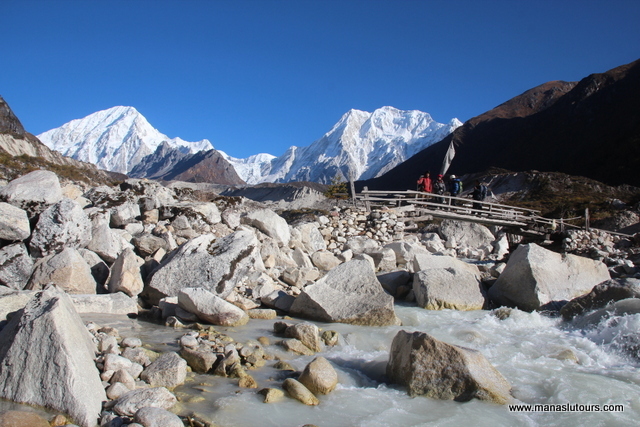 Manaslu Circuit Trek lies in between the two big rivers; Budhi Gandaki River and Marshyangdi River. 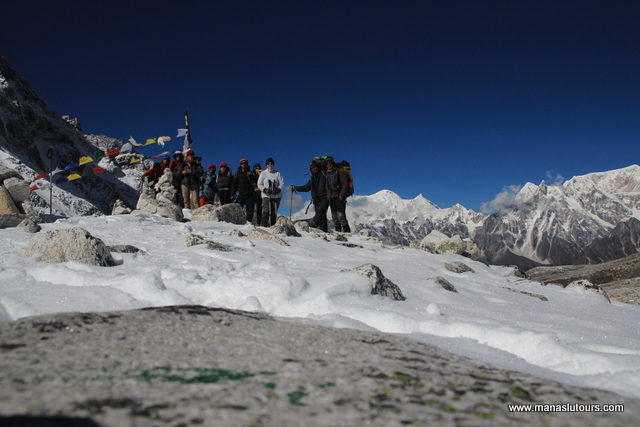 The world’s 8th highest peak of the world Mt. 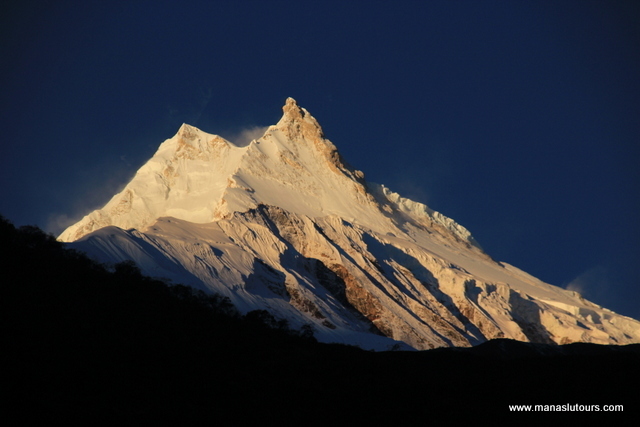 Manaslu (The spirit mountain) also lies in Manaslu region. 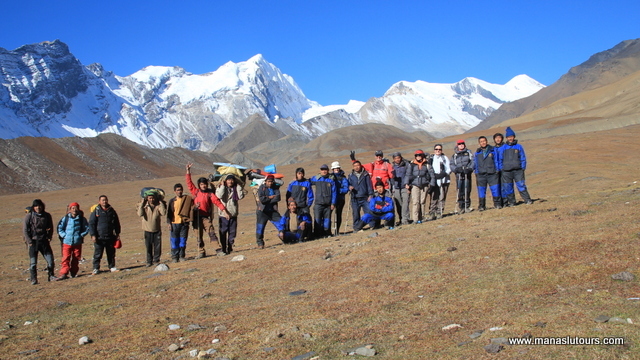 Manaslu Circuit Trek commence from Gorkha Bazaar, the old kingdom of Nepal from where the unification of Nepal was done. 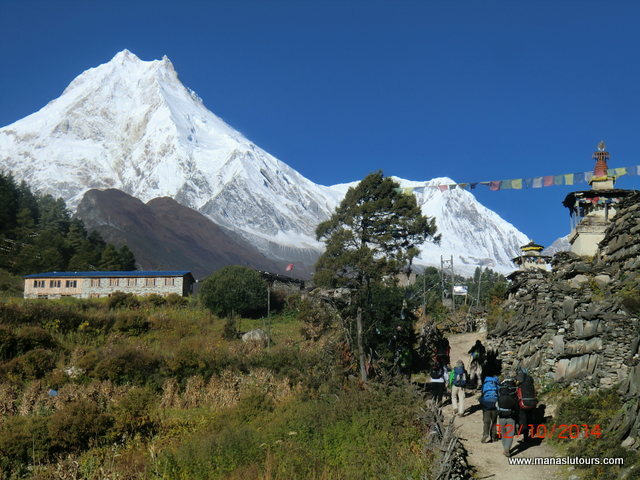 Manaslu Circuit Trek from Barpark-Laprak offers you the great views of Annapurna Ranges, Langtang ranges and massif view of Boudha Himal, Mt. 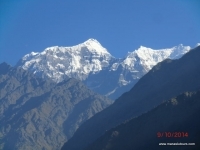 Hiunchuli, Sringi Himal and Ganesh Himal than the trekking from Arughat. 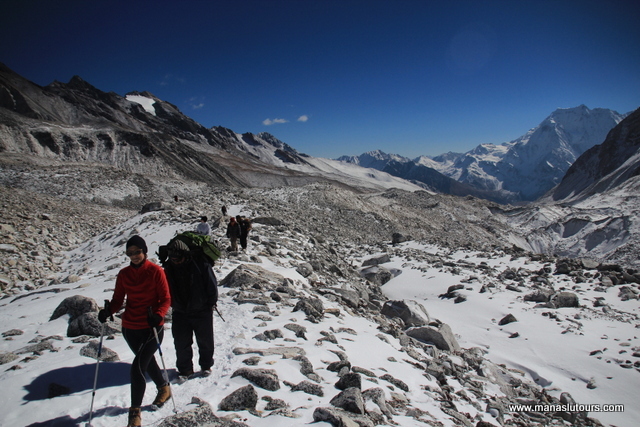 It is very important to take time when we are at high altitude with less walking hours per day or get well acclimatized while going in the high altitude. Manaslu Circuit Trek from Barpak-Laprak offers you with enough acclimatized as one will have already adopted upto the height of 3,000m (Gupsi Dada) the border of Barpark and Laprak village and going to 975m (Khorlabenshi). 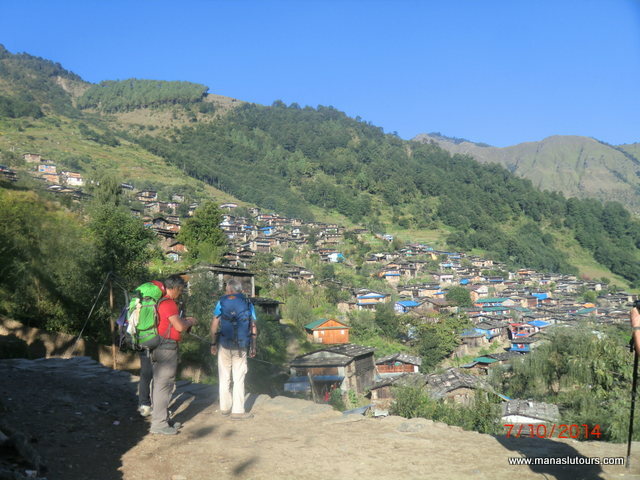 Besides this, you will have great fun and great moment by exploring the culture, tradition, ritual and life style of Gurung community of great village of Barpark and Laprak. 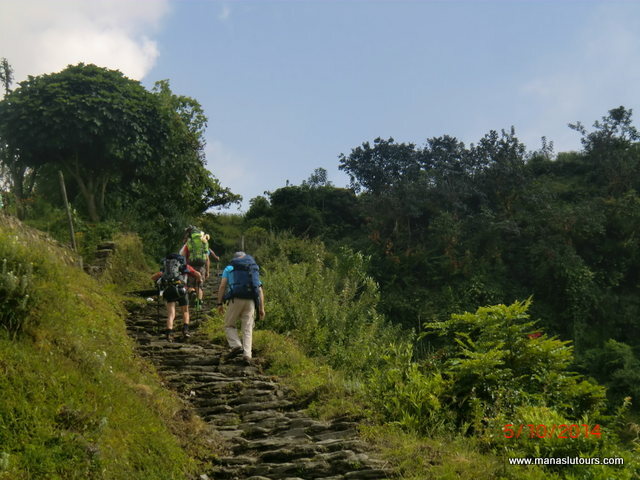 We descend Laprak village paths and then to Chyabru River. After crossing suspension bridge, we climb equally steeply back up, past terraced fields of pink sorghum. 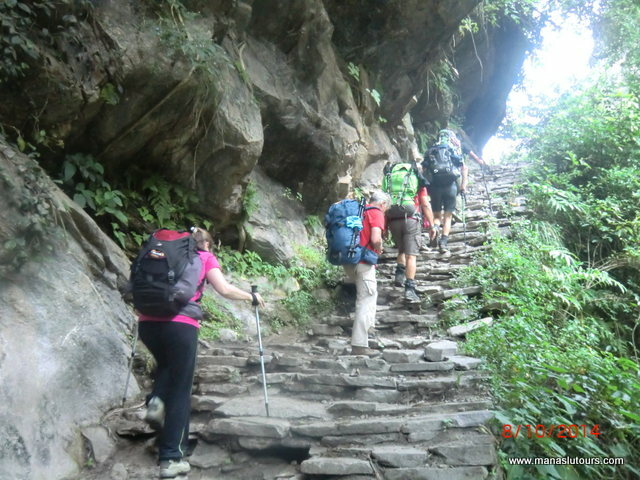 We contour around several hillsides on a narrow trail, barely visible at times, up to a small chorten just below the village of Singla. 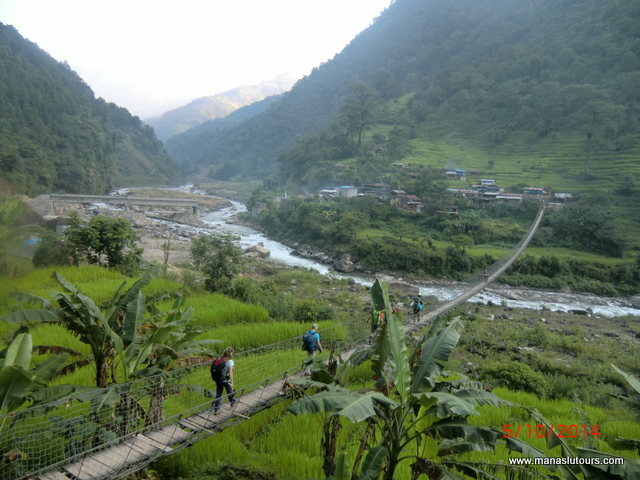 From here, the going is easy and we enjoy the views of Kutang Himal and Srringi Himal to the north as we walk down through more terraced fields and papaya trees, through the Gurung village of Khorla and then down along a narrow, winding trail to Khorlebeshi on the Budhi Gandaki River. Take care as the rocky steps just before the long suspension bridge to Khorlabeshi are treacherous. Look out for the local women weaving straw mats in the village. We will probably get a visit in the evening from this village's cultural ambassadors, and perhaps have another show. From Jagat, descending to the river of Budhi Gandaki, we climb to terraced hill-side to the small hamlet of Salleri, from where we can see the impressive view of Sringi Himal 7187m. We pass the charming and paved village of Sirdibas. 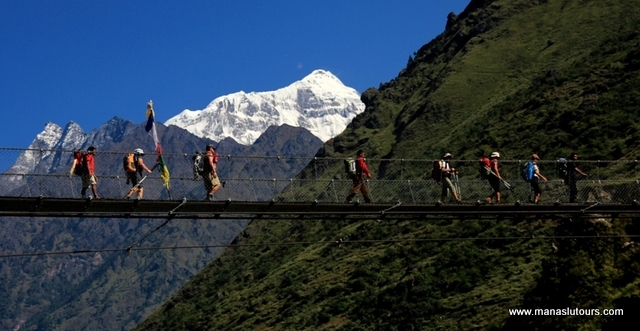 We cross the suspension bridge at Ghata Khola, the path splits, with the right-hand branch heading off towards the Ganesh Himal. Our route continues upstream and again we have a steep climb to reach Philim. 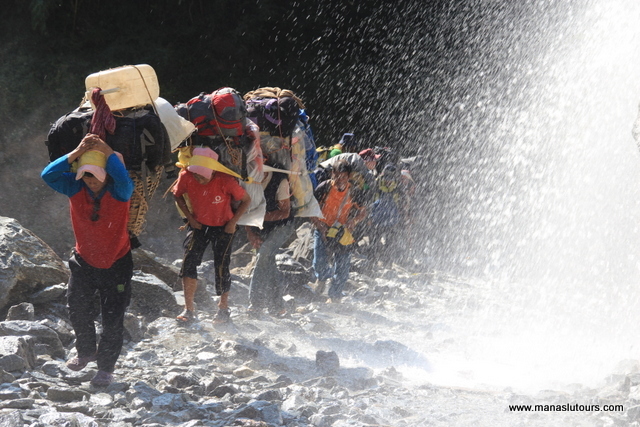 The first bridge sits at the intersection to Tsum valley Trek, a remote valley leading to Tibet. 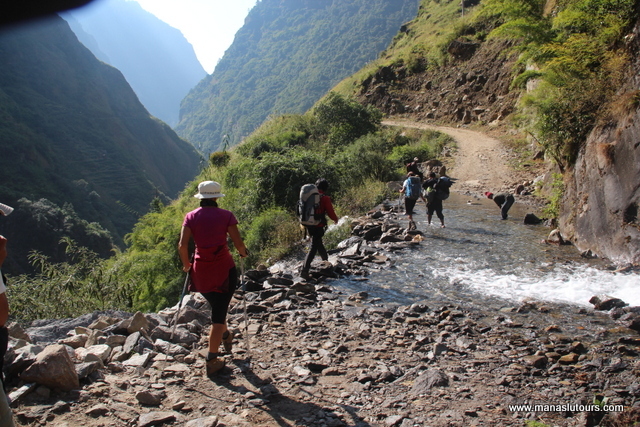 After trekking through dense woods for over an hour, we pass Pewa and after another hour we leave the gorge and climb to the small village of Deng. 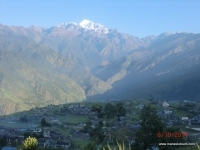 We have views of Lumbo Himal to the rear, as well as Lapuchen and Dwijen Himals. It's worth a visit to the upper floor of their house above us, perhaps for a glass of local 'chang', or Tibetan beer and for a chat around the hearth. Day 18: By Jeep: Shree Chaur to Besisahar. Drive back to Kathmandu. 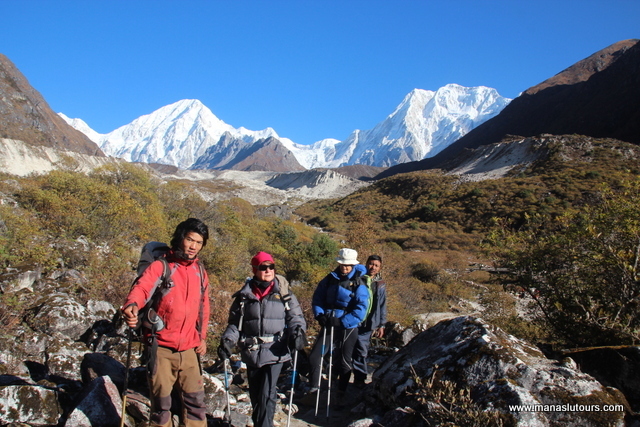 Above mentioned Trip dates are the fixed departure date for Manaslu Circuit Trek of 2019. The cost mentioned in the tables are the cost from 6 to 12 peoples in a group. This trip can only be organized for minimum of two people upon your request. A group booking of 10 or more people is subjected to a maximum discount with the availability of free trip to one person. If your group is much larger please contact us to discuss about the price. 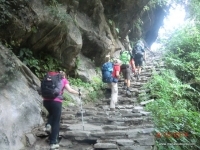 Full day sightseeing in Kathmandu with well experience English speaking Tour Guide.